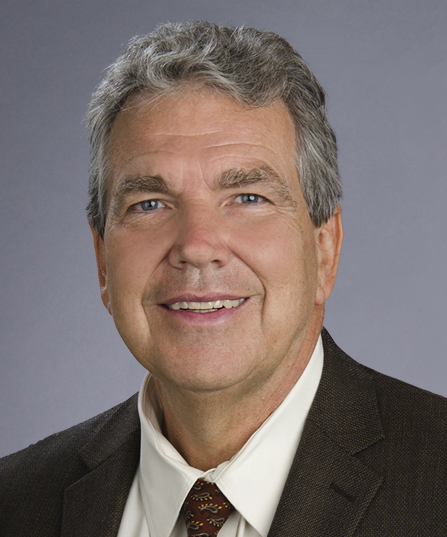 Peter Cowhey holds the Qualcomm Endowed Chair in Communications and Technology Policy and dean of the School. He is an expert on the future of communications and information technology markets and policy, specializing in U.S. trade policy, foreign policy, the Internet and international corporate strategy. Cowhey has extensive experience in government. In the Clinton Administration, he served as the chief of the International Bureau of the Federal Communications Commission (FCC) and negotiated many of the U.S. international agreements for telecommunications and satellite services. He had responsibility for antitrust decisions involving the communications and satellite industries. In 2009, he served a 12-month assignment as the senior counselor to Ambassador Ron Kirk in the Office of the United States Trade Representative, playing a key role in the strategic agenda for trade policy. Subsequently, Cowhey served on a bi-national experts group appointed by the U.S. and Chinese governments to research and advise on innovation policy. As chair of the CONNECT Innovation Institute, he is co-leading a project on U.S. innovation policies. Cowhey has served in many leadership positions in the nonprofit word. He served as the chief policy officer for the Aspen Institute’s International Digital Economy Accords project to update policies involving the Internet and global communications markets. Cowhey is currently the chair of the board of directors for both the California Council on Science and Technology and the Grameen Foundation USA, the U.S. foundation supporting the work of Nobel Peace Prize Laureate, Dr. Muhammad Yunus. Cowhey is a member of the Global Competitiveness Council and the Council on Foreign Relations. Cowhey joined the UC San Diego faculty in 1976. He was director of the University of California's system-wide Institute on Global Conflict and Cooperation from 1999-2006 and Associate Vice Chancellor-International Affairs from 2007-2009. He was the Interim Executive Vice Chancellor of UC San Diego in 2016-2017. Cowhey became dean of the School in July 2002. “Transforming Global Information and Communication Markets: The Political Economy of Innovation,” (with J. Aronson and D. Abelson), MIT Press (2009). Cowhey, Peter F. and John Richards. "Building Global Service Markets: Economic Structure and State Capacity." The State after Statism: New State Activities in the Age of Liberalization. Ed. Jonah D. Levy. Cambridge, MA: Harvard UP, 2006. 301-39. “When Countries Talk: Global Telecommunication for the 1990s,” (with J. Aronson), a book for the international trade project of the American Enterprise Institute (Ballinger, 1988). “The Problems of Plenty: Energy Policy and International Politics,” University of California Press (1984). “Structure and Policy in Japan and the United States: An Institutionalist Approach,” (co-edited with Mathew McCubbins) Cambridge University Press (1995) (reprinted in 1997). “Digital Trade and Regulation in an Age of Disruption,” October 2018, UCLA Journal of International Law and Foreign Affairs (with J. Aronson). Baranga, Thomas and Peter Cowhey, “The Trans-Pacific Partnership: Trade’s Prosperous Potential for San Diego,” March 13, 2016. San Diego Regional Economic Development Corporation [Executive Summary] June 2016. Market Assessment Developed by UC San Diego Students Positions Region to Boost Exports. UC San Diego News. May 15, 2013. The Resurgence of Manufacturing in the United States. UCSD-TV. April 22, 2013. Cowhey, Peter F., and Michael Kleeman, "Unlocking the Benefits of Cloud Computing for Emerging Economies—A Policy Overview", UC San Diego, October 2012. Clouded Futures and Sovereign Sunshines Designing Geopolitics 2: 2nd Annual Conference at the Center of Design and Geopolitics. June 2, 2012. China Airborne: Aviation and the Future of China with James Fallows and Peter Cowhey. Helen Edison Lecture Series. June 11, 2012. UCSD-TV. Breznitz, Dan and Peter Cowhey. "America's Two Systems of Innovation: Recommendations for Policy Changes to Support Innovation, Production and Job Creation," Innovation, Production, and Sustainable Job Creation: Reviving U.S. Prosperity. CONNECT Innovation Institute, [White Papers] February 2012. Breznitz, Dan and Peter Cowhey. "America's Two Systems of Innovation: Recommendations for Policy Changes to Support Innovation, Production and Job Creation," Innovation, Production, and Sustainable Job Creation: Reviving U.S. Prosperity. CONNECT Innovation Institute, [Executive Summary] February 2012. “Network Theory and Internet Governance,” in Miles Kahler (ed. ), Networked Politics (Cornell University Press, 2009) (with Milton Mueller). “Political Economy and Technological Architectures: The Political Economy of the U.S. Information and Communication Technology Infrastructure,” November 2008, Journal of Policy Research (with J. Aronson and J. Richards). “The Peculiar Evolution of 3G Wireless Networks: Institutional Logic, Politics, and Property Rights” in William Drake and Ernst Wilson (eds. ), Governing Global Electronic Networks (Social Science Research Council and MIT Press, 2009) (with J. Aronson and J. Richards). “Access and Innovation Policy for the Third-Generation Internet,” Telecommunications Policy, 24 (July/August 2000) (with F. Bar, S. Cohen, B. de Long, M. Kleeman, and J. Zysman). "Transforming Global Information and Communication Markets: The Political Economy of Innovation"